JAMES Inglis started from pole and went on to claim round two of the Maddington Toyota Sprintcar Series at the Perth Motorplex on Saturday night. But it wasn’t plain sailing for the driver of the Inglis Motorsport #80, slipping into second early on and then being involved with contact with Shaun Bradford who executed a slide job that didn’t quite work out, with the latter sustaining too much damage to continue. 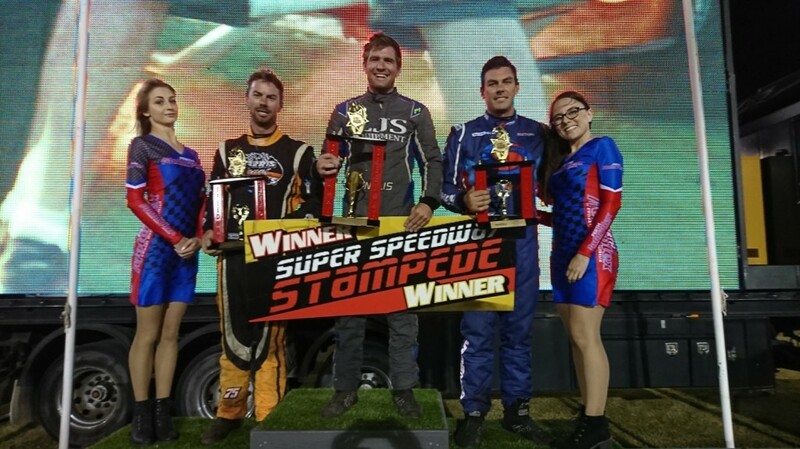 Inglis then inherited the lead when Jason Kendrick had an oil fire on lap 21 and from there he set up a commanding win from Ben Van Ryt and Chase Karpenko. The first attempt to get the race underway was abandoned and moments later, on the next attempt there was contact between Kaiden Manders and Daniel Harding on the back straight that also involved Brad Maiolo and Kye Scroop. Only Maiolo was a restart, albeit in a pretty ordinary looking #77. Kendrick then led away from Inglis, Bradford, Van Ryt and Lancaster. On lap three was when Bradford’s challenge for second didn’t work, seeing the Bradford Racing #57 removed from the track by the recovery crew. Kendrick opened up a commanding lead and set the fastest lap of the race with a 13.817 circulation – the only driver to drip into the 13-second zone in the main event. But it counted for nothing when a part let go and the Kendrick Racing Team #11 had an oil fire and headed infield. Karpenko was all over the back of Van Ryt in the latter stages but was unable to get enough traction to get close enough for a telling move, settling for second. Inglis took a fifth and a win in his heat races and while down on power of most of his rivals, he still ran some solid lap times with low 14-second circulations. Van Ryt was sixth in both his heat races and his podium finish is on the back of an eighth in the feature race the previous week. Karpenko had a win and a fourth in his heat races in what was a better result than when he was a DNF with seven laps remaining in the first feature race of the season a week earlier. Lancaster went searching for a podium finish in the Dingo De Motorsport W20 late in the race, putting in a solid effort and only just falling short. This was after he started from P12. Mitchell Wormall, who blew a right rear tyre in his second heat race and posted a DNF, was force to start from P13 and muscled his way up to sixth. Jason Pryde took seventh, ahead of the only other finisher in Brad Maiolo. Maiolo, along with Bradford and Tom Payet elected to play their Joker cards on the night to double their feature race points, with the move only paying off for Maiolo. Payet was a non-starter after he was out early in the first round of heats with engine issues – after holding down a commanding lead. Kendrick claimed the Victory 1 Performance Quick Time award for the round. Scroop and Inglis have been the first two recipients of the Hoosier right rear tyre prize draws. 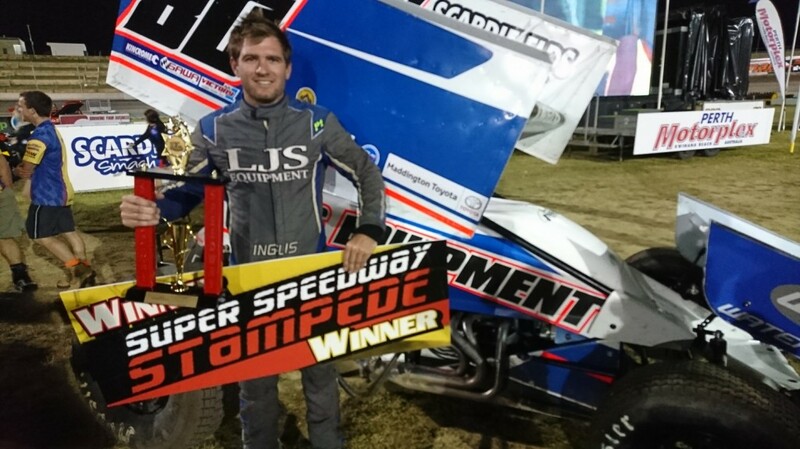 Round three of the series will be the Scardifields Smash Repairs King of Wings, back at the Perth Motorplex, on Saturday, November 17. 1st Jason Kendrick, 2nd Shaun Bradford, 3rd Kaiden Manders, 4th Kye Scroop, 5th James Inglis, 6th Ben Van Ryt, DNF: Tom Payet. 1st Chase Karpenko, 2nd Brad Maiolo, 3rd Daniel Harding, 4th Jamie Maiolo, 5th Mitchell Wormall, 6th Jason Pryde, 7th Ryan Lancaster. 1st Kaiden Manders, 2nd Jason Pryde, 3rd Brad Maiolo, 4th Jamie Maiolo, 5th Jason Kendrick, 6th Kye Scroop. 1st James Inglis, 2nd Shaun Bradford, 3rd Daniel Harding, 4th Chase Karpenko, 5th Ryan Lancaster, 6th Ben Van Ryt, 7th Mitchell Wormall. DNS: Tom Payet. 1st James Inglis, 2nd Ben Van Ryt, 3rd Chase Karpenko, 4th Ryan Lancaster, 5th Jamie Maiolo, 6th Mitchell Wormall, 7th Jason Pryde, 8th Brad Maiolo. DNF: Jason Kendrick (lap 21), Shaun Bradford (lap 3), Kye Scroop, Kaiden Manders, and Daniel Harding (1st lap). DNS: Tom Payet.